Tower Center Rijeka, one of the most visited shopping centers in Croatia, welcomed on the 30th of May two new tenants: Interspar hypermarket and Polish fashion brand Reserved. Carrefour, French food retailer, opened on the 29th of May its second supermarket in Bistrita, located at Moldovei no.13 Street, Romania. With the new opening, the chain increased its network of supermarkets to a total of 236 units. Alma Ras d.o.o., Bosnian lingerie retailer, has this month opened its first multi brand store in the Bosnian town of Trebinje, located at Desanke Maksimović no.15 Street. Dm drogerie markt, German health and beauty retailer, will open on the 31st of May its new store in Belgrade’s municipality of Žarkovo, located at Drage Spasić no.32a Street. On the same day, the chain will also reopen its remodeled unit within Bn Bos shopping center on Batajnički Road no.1 in Zemun. Tommy d.o.o., Croatian food retailer, opened on the 24th of May its new maxi market the city Novalja on the island of Pag, located at Lokunje no.3 Street. The new store is the company’s 200th unit in Croatia. CBS International, a leading commercial real estate services firm in Serbia, published its research on the Serbian retail market in the first quarter of 2018. The research shows a boost in new entrants and forecasts a stable growth for the best retail assets and locations, as well as a strong demand from international brands looking to enter the Serbian market. 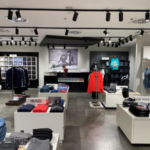 Eminent d.o.o, owners of the fashion brand Legend World Wide, reopened on the 24th of May its remodeled and expanded outlet store in Belgrade, located at Bulevar kralja Aleksandra no. 162 Street, Serbia. Fashion Company, a leading fashion retailer in the Balkan region, opened on the (insert date) its new Fashion&Friends multi-brand store within Supernova Zadar shopping center at Akcije Maslenica no.1 Street, Croatia. Jeordie’s, Turkish men’s fashion brand owned by MEBA TEXTILE from Istanbul, opened on the 25th of May its new store within King Cross Shopping Center at Velimira Škorpika no. 34 Street in Zagreb, Croatia. JYSK, Danish furniture and home decor retailer, opened on the 24th of May its new store in Curtea de Arges, located at Albesti no. 30F Street. 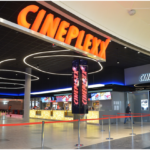 With the latest opening, the chain increased its retail network in Romania to a total of 58 units. BIPA, Austrian drogerie chain owned by the German Rewe Group, opened on the 24th of May its new store in the town Novalija, located at Lokunje no.3 Street, Croatia. LC Waikiki, Turkish fashion retailer, opened on the 25th of May its second store in the Bosnian town Banja Luka, located within Emporium shopping center at Jovana Dučića no.25 Street. PEPCO, Polish clothing and household chain, announced a rapid expansion plan for the Romanian market in 2008. By the end of the year, the company will open 17 new stores in 13 cities, including four units in Bucharest. Montecristo BG clothing store doo Beograd, the company operating the retail chain Modiana in Serbia, opened on the 24th of May the first Francomina mono brand store in the country, within Mercator shopping center at Bulevar Umetnosti no.1 Street in Belgrade. Dry Cleaning Services Holdings, 5asec Master franchisee for the Balkans, continues its rapid expansion in the region by acquiring 7 stores from the Romanian dry cleaning chain Top Clean.